Mitochondrial DNA is passed from the mother to each of her children whether they are male or female. Both genders can be tested for mitochondrial DNA. Mitochondrial DNA is more stable than y-chromosome DNA. That means there are an even lower percentage of mutations, copying errors, between generations. Therefore, up until 2010, mitochondrial DNA has been more useful for tracing deep ancestry back hundreds or even tens of thousands of years than it has been for differentiating among different family lines in genealogical time. In this sense, genealogical time means the last few centuries when most families have had surnames. 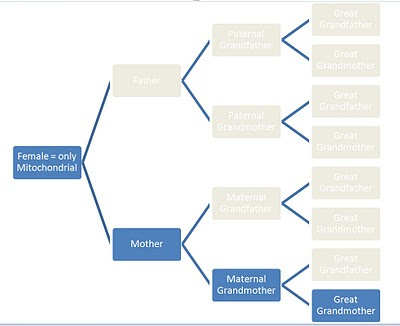 For example, a mitochondrial match at the lowest testing level may only indicate that there is a 50% chance of a common female ancestress within the last 52 generations or so. That is much too far back to have meaning in most family trees. Higher levels of testing might raise that precision up to a 50% chance of a common female ancestor within the last 20 generations; but that still is not too helpful. Until mid 2009, I was actively discouraging students and clients from testing their mitochondria unless they had a specific situation in which it could be useful. 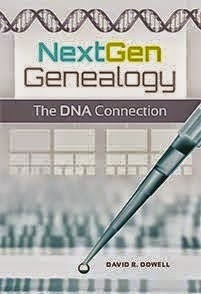 For example, it might eliminate the possibility of a close match or it might indicate some deep ethnic origin; but it would not have been useful in identifying ancestors. At the risk of being redundant, women cannot be tested for y-chromosome DNA. On the other hand men can be tested for both mitochondrial and y-chromosome DNA. Therefore, a male, if he is tested for both, can find information about both of his parents, half of his grandparents but only two of his eight great-great-grandparents, etc. This gender difference may not seem fair but there really is a difference between girls and boys. 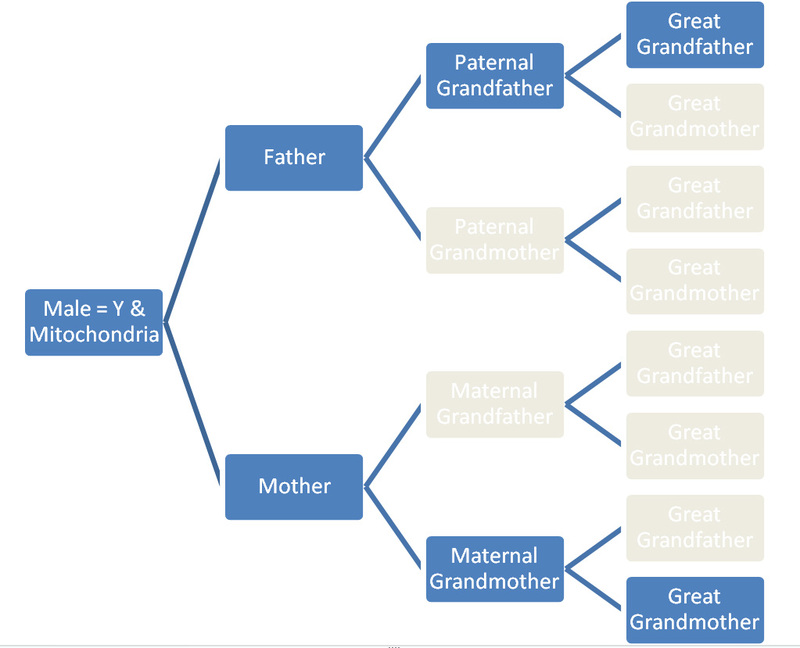 The precision of mitochondrial testing for the consumer genealogy market changed radically in 2009. More about that in the next installment.